It's beautiful, most of the sunsets I've seen are orange but this is a great one. Oh, this is pretty! 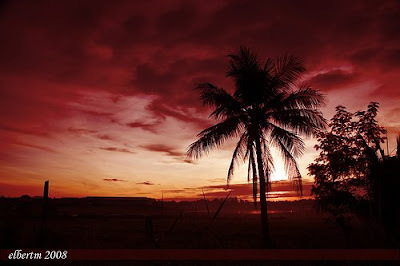 The red color is so unusual, and I like the palm tree too.